Well we’ve had a good chance to look around Darwin. Not a bad city – don’t mind the place actually! It’s been longer than expected, as the motorhome is going in to Ford tomorrow for analysis. What have we been doing? We started our Darwin activities at Crocodylus park, as mentioned in the last post. 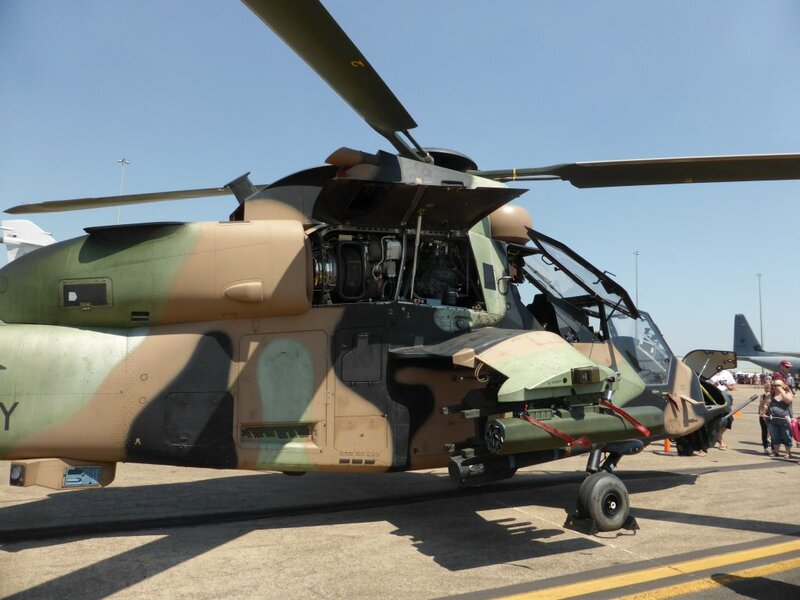 Saturday we went to a RAAF Open Day at Darwin International Airport, as exercise ‘Pitch Black’ is on at the moment. Defense feel like they need to compensate for shaking and deafening the whole city (military jets are really loud!! 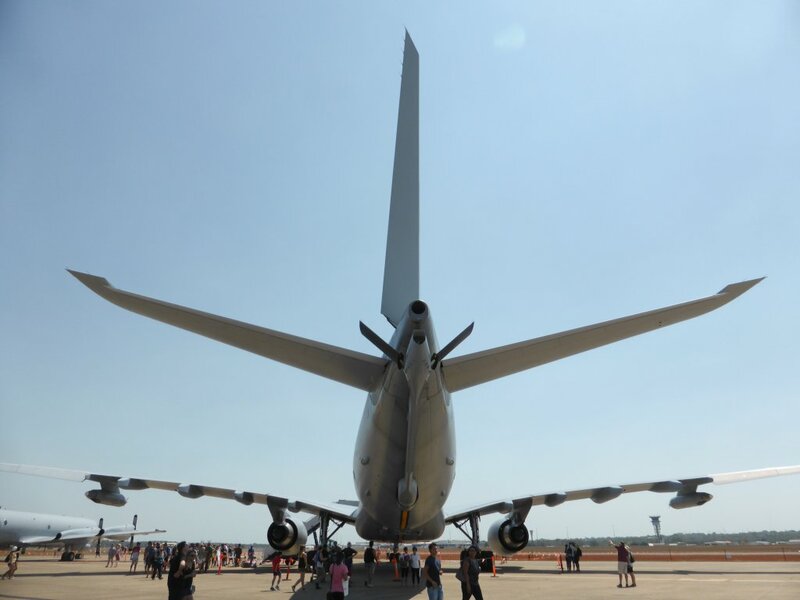 ), by letting the community in to have a look at the planes! So we looked at a few displays (boys looked in a Bushmaster), and of course the planes including FA18 Hornets and Super Hornets, Tiger helicopter, an EAW&C plane, various transport planes, quite a few Singaporean fighter jets (F15 etc), and some planes from a few other countries participating. 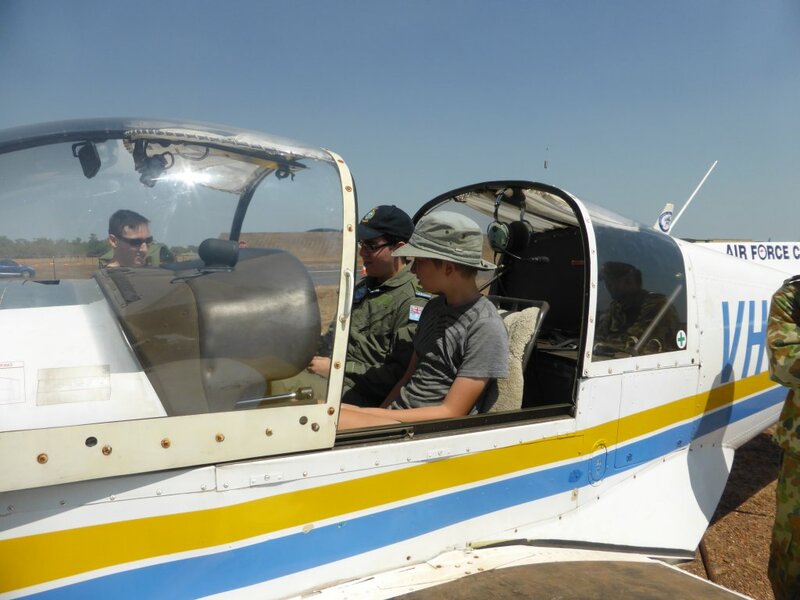 Jonathan in an Air Force Cadet training plane. He’d actually be old enough to learn to fly it in a years time! I didn’t take many photos – only what I’ve shown here (haven’t taken many of Darwin at all)! There must have been more people than planned, because they couldn’t keep up with the buses getting people between the open day and carparking at the showgrounds. Aside from that it was a good visit. 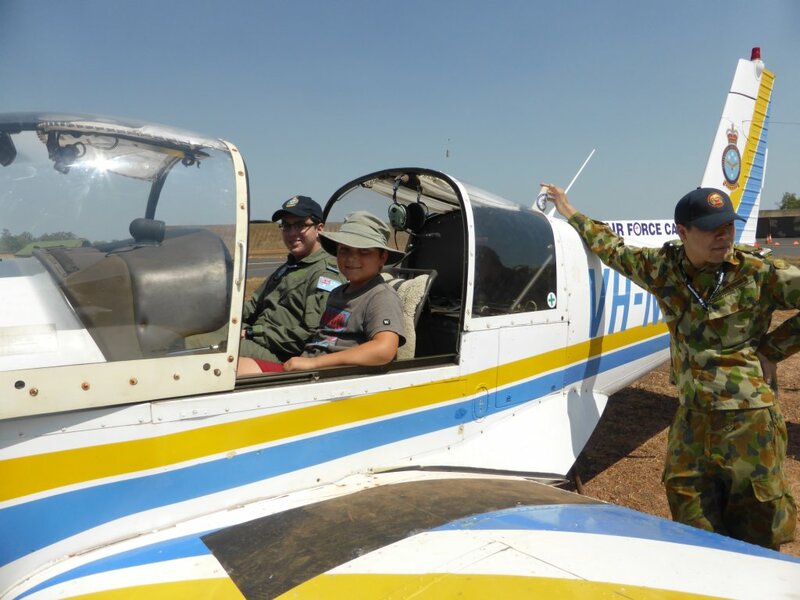 Fortunately for Darwin residents these planes aren’t normally based in Darwin – rather Amberley (Brisbane) and Tindal (near Katherine). We’ve also visited the Parap markets, which were recommended to us. Had a look around and got a couple of nice fresh fruit smoothies. 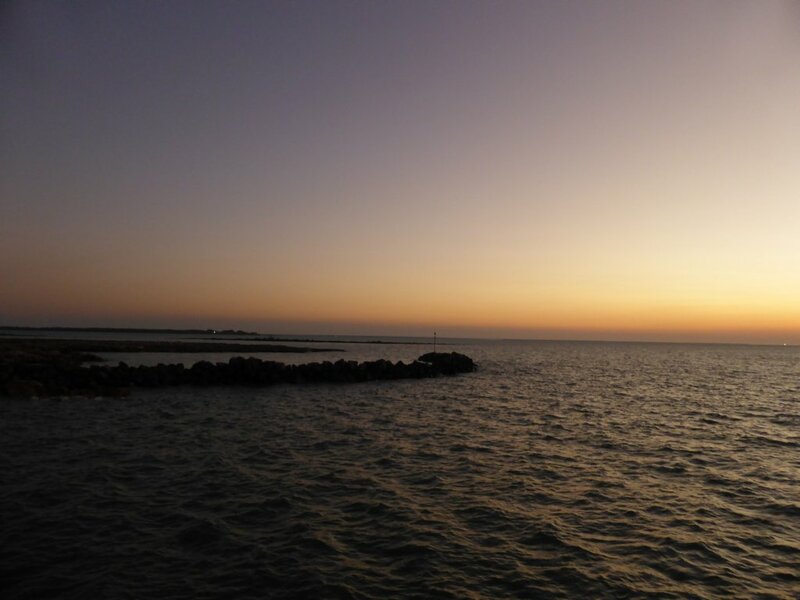 Darwin is quite nice around the northern coastline – Fanny Bay, Nightcliff, etc. Watched the sunset at Nightcliff one night, and had fish and chips. Had a look through the wharf and the CBD – smaller and much easier to drive a motorhome around than Brisbane! Government House has a nice position right on the edge looking out over the sea. The Darwin Museum and Art Gallery was quite good. I don’t know a lot about museums, but I’m told by Nicole that the Darwin one is good – a lot better than Brisbanes! We’ve done some shopping for various items – we are all fully kitted out now with snorkels, goggles and flippers! There have been a few times already when they would have been nice to have, and no doubt there will be more opportunities in WA. Flippers on sale for $5 per pair – how could you knock that back! 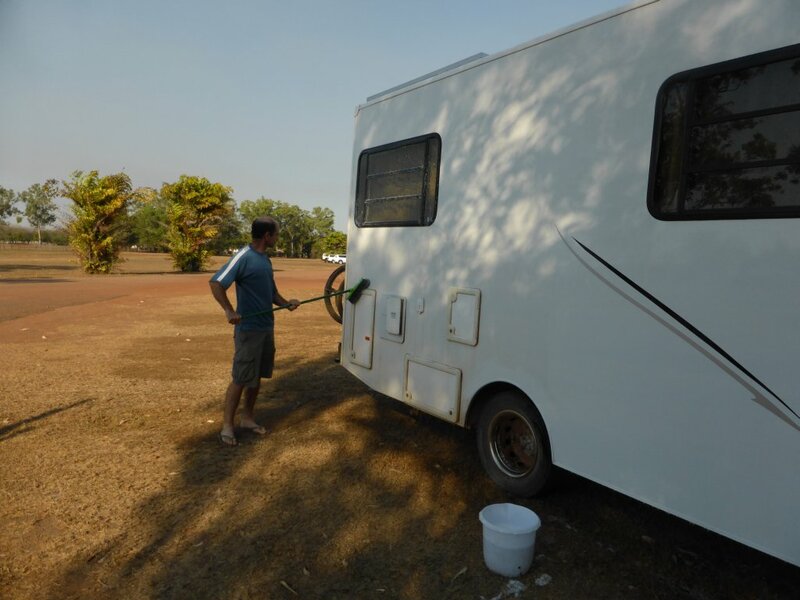 Motorhome is now a different colour, thanks to me washing it – finally removing much dust, insect guts, and MacDonnell Range mud! Nicole even got a pedicure (thanks Nikki), and the boys and I haircuts! Howard Springs is nice, though no swimming there at the moment. 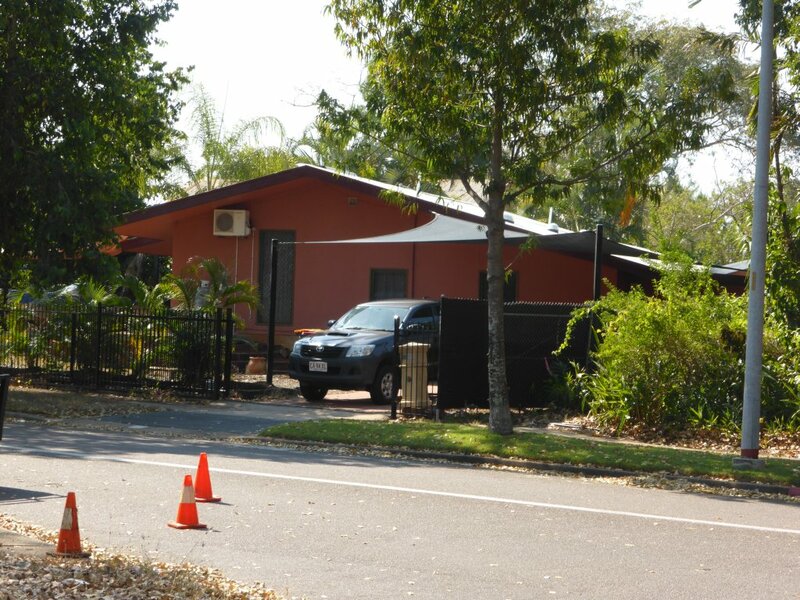 Caravan parks in Darwin are expensive. We spent one night (in the motorhome) at friends of Nicoles parents, have done some free camping, and also found a cheap park south of Palmerston where we’ve stayed one night and are staying again tonight (Ford is on the southside). Where Nicole used to live! Different colour now though she says. Left Darwin when 7 yrs old. I’ve finally got around to doing a number of tasks with the motorhome today – installing the new kitchen blind as a cord broke on the old one (new one is roller which is much better (and less noisy when driving) than the old venetian one, re-siliconing a couple of seals in the shower, got some additional rubber seal for the motorhome entry door for additional noise and dust proofing, adjusted the voltage set points on the PV controller, and stuffed around with inverters. Then after I installed it and plugged it in, it lasted for all of 30 minutes before dying! I couldn’t believe it! Decided since I now had two dead ones I’d open them up and see if I could get one good out of the parts! Turns out I was able to get the first one going easily enough, after improving some insulation so it wasn’t shorting itself…. So we finally have a pure sine wave inverter again, that can run the drill, angle grinder, and tablet charger (without loudly humming). Yay! The motorhome started playing up a bit mechanically, around when we got to Darwin. Real low on power at times, and blowing smoke, but its intermittent. We can still drive it (its actually OK/best on the hwy), and it’s not something too major like a blown turbo or anything (that would be problems all the time), but probably the EGR valve or airflow sensor not working correctly. Could keep going on the trip, but it may be a while till the next major town/city and fuel economy is probably being affected. A local mechanic who gave it a standard service earlier in the week didn’t seem to certain on it, so it is booked into Ford tomorrow morning. Hopefully they have parts here and don’t spend too long replacing stuff that doesn’t need replacing…. So we feel like we know Darwin pretty well now! Land/housing is more expensive than I had expected – similar (or probably more) than Brisbane just based on looking in a few real estate agent windows. Hopefully tomorrow we will be off to Litchfield National Park, but we’ll see how things go.